The Safari Juice cocktail is an extravaganza of fruity flavors – orange, melon and a dash of pomegranate. It’s highly drinkable, has enough orange juice to pass for a breakfast drink (but on the strong side), and is really refreshing. 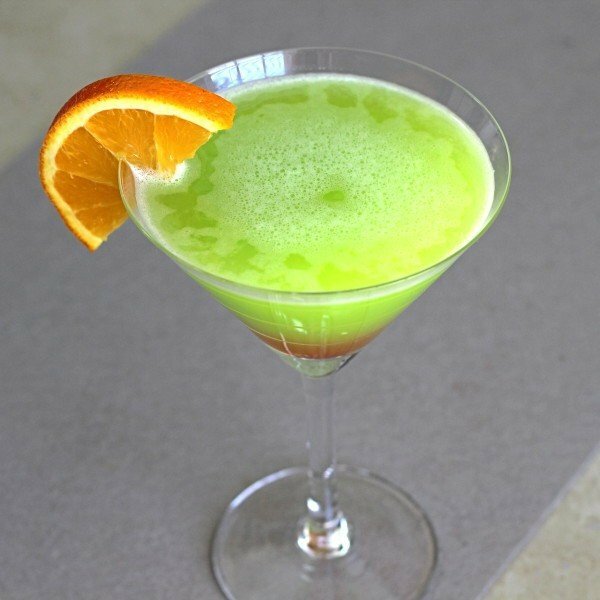 This cocktail is ideal for hot days – the kind of days where it’s hard to eat anything heavy and you really don’t feel like moving. It makes a nice, fruity pick-me-up to get you going. Pour the two liqueurs into a mixing glass. 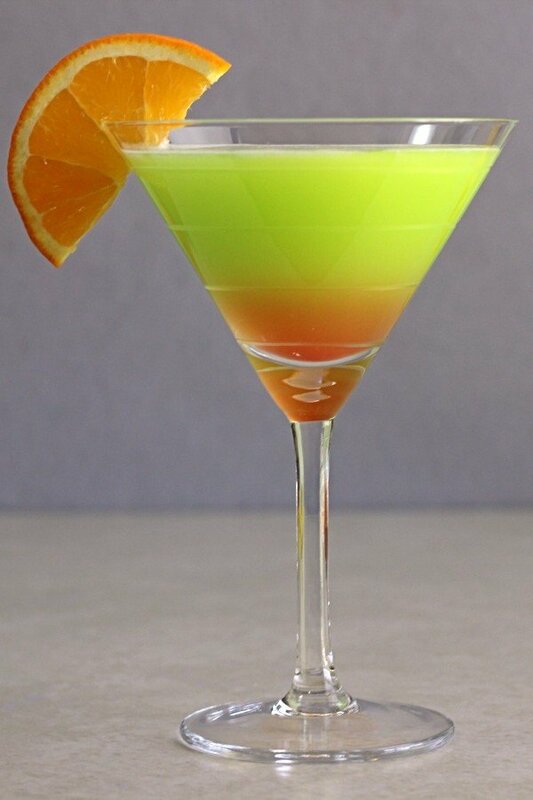 Add the orange juice and stir briskly, four times, and then pour the mixture into a chilled cocktail glass. Drop the grenadine in, one drop at a time. Garnish with an orange wheel and serve.